Personally owned cars and motorbikes: Are you really claiming all the travel and subsistence expenses you are entitled to? In our eBriefs, Business Journeys & Subsistence Expenses, we examined the definition of a business journey, what can be claimed for as a cost of that journey, and some of the details regarding scale rates and dispensations. 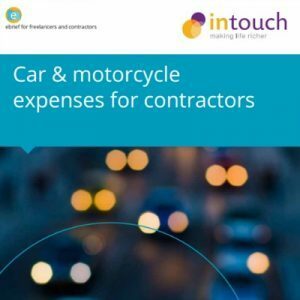 In this eBrief, Intouch Accounting, the personal online accountant for contractors and freelancers, tackles the thorny subject of what you can claim for when travelling on a business journey in a vehicle. Are you using your own car? What options are available to you? How do you calculate mileage rates and what records should you keep? What if you buy a new car during the tax year? Or you work for more than one employer? We answer all this and more. So read on and make sure you’re not missing out on claiming all the business travel expenses you’re entitled to. We are deliberately using the word vehicle rather than car, because the rules are different for cars, vans, motorbikes, and bicycles. Even more confusing, is the fact that it makes a difference if your company owns the vehicle, it’s owned personally by you, or even just hired for the journey. All of the above produce journey costs that are allowable, but how to claim them and what to claim is the confusing bit. What happens if a company owns the vehicle, but the individual pays for the petrol? Or the individual owns the vehicle, but uses company money to buy new tyres? What type of vehicle is it? Who originally paid the different types of costs? In subsequent eBriefs, we will cover 1. Vans, bicycles and hired vehicles; and 2. Company owned vehicles and taxation. But, in this eBrief, we will look at: Personally owned cars or motorbikes. The company can actually claim any cost it incurs on your privately owned vehicle as a business expense. If the original bill is in the company name, you may even be able to reclaim any VAT paid (unless you use the flat rate scheme of course), but there must be some expected business use of the vehicle. VAT cannot be reclaimed on vehicles used solely for private purposes. The company can actually claim any cost it incurs on your privately owned vehicle as a business expense. If the original bill is in the company name, you may even be able to reclaim any VAT paid. However, if the company does incur a cost on a car it does not own, a benefit in kind (BIK) charge is created for you, upon which you must pay Income Tax. Additionally, the company will have to pay National Insurance on the value of this benefit in kind. This BIK is treated in the same way as if it were extra wages payable to you. So, when you use this personally owned vehicle for your contracting business, you still have to claim a reimbursement from your company for the costs of business trips that you have suffered. To do this, most people make a claim for business mileage (to cover fuel and running costs) in accordance with HM Revenue & Customs’ (HMRC) rates. By using approved rates, you get reimbursed by the company without any tax implications. Rather than being physically reimbursed for the fuel costs, an alternative is to use the calculated mileage claim rates (explained on page 6 of this eBrief), to reduce the BIK charge by offsetting one against the other. Alternatively, the company pays the costs directly, but does not treat them as a business expense that it has incurred. Instead, the company treats them as being paid on your behalf, similar to a loan. So, although the company may pay a bill to a garage, for example, it records the bill as if it is paying you (the company cannot claim the VAT this time). All private expenses paid by the company in this manner go to a director’s loan account, as if the company had loaned you the money for which, at some point, the company needs to be repaid. Repayment is most often made by offsetting this loan to you, personally, against unpaid wages, or dividends not physically taken out of the business in cash. Although the company has paid the cost, as it’s not claiming the cost as a business expense, no BIK arises. Again, you still have to claim from your company the costs of business trips that you have suffered. To do this, most people claim business mileage (to cover fuel and running costs) in accordance with the HMRC mileage rates. By using HMRC approved mileage rates, you get reimbursed by the company without any tax implications, similar to normal expense claims. A BIK arises whenever an asset owned by your company is available for your own use irrespective of whether or not you actually make use of it. 2. If your company pays a bill in your own name, unless it’s repayable by you, it’s automatically deemed a BIK, irrespective of whether it’s ultimately a business cost. If the bill is in your personal name, it’s a personal liability, and the starting point is a BIK. For example, the company pays the premium for an insurance policy in your name, despite the car being mainly used for business trips. If your company pays a bill in its own name, but that bill includes any personal costs, unless it’s repayable by you, it’s a BIK. For example, if your company buys new tyres for a privately owned car, even though the invoice is made out in the company name, the cost including VAT is a BIK, despite the car being mainly used for business trips. If the company reimburses you for expenses you’ve incurred, but the amount reimbursed exceeds the original cost or an amount determined by approved scales rates, the excess is a BIK. Therefore, how costs are incurred, and by whom, has to be carefully considered not only from the point of view of the company making an expense claim, but also the consequences for your personal tax liability. A Benefit in Kind is the value placed on a benefit you receive as an employee from your employer (your own company). It arises when your company pays something on your behalf, or provides something for your personal use. Tax rules include a system of Mileage Allowance Payments (MAPs) – payments to an employee for expenses related to their use of their own vehicle for business travel. Your company can pay you up to the approved amount of MAPs each year, without having to report them to HMRC or pay any tax on them. These tax-exempt payments are known as Approved Mileage Allowance Payments (AMAPs). Only AMAPS can be tax-exempt – other payments or benefits associated with using your own vehicle are not, and must be reported unless they are added to your loan account. The approved amount that you can pay free of tax each tax year is calculated by multiplying the number of business travel miles for the tax year by the applicable rate per mile for the kind of vehicle being used. Most people make a claim for business mileage in accordance HMRC mileage rates. By using HMRC approved rates, you get reimbursed by the company without any tax implications. You must count business mileage in all vehicles of the same type together. So, if you change your car, you don’t start a new ‘first 10,000 miles’ for the new car. Both cars are treated as the same vehicle for the purposes of the 10,000 mile threshold. However, if you use both a car and a motorbike during the same year, because cars and motorbikes are different vehicle types, they each have their own 10,000 mile threshold. If you change your vehicle in the same tax year you must count business mileage in all vehicles of the same type together, you don’t start a new ‘first 10,000 miles’ for the new car. Where you have two employments and use your vehicle for business trips for both employments during a single tax year, each employment is treated separately (so each has its own 10,000 mile higher rate limit for cars). However, this rule does not apply to associated employments. One employment is associated with another if the employer is under the same control. So, if you control both companies, then normally these are associated employments and only one limit is available. However, if you have one employment with a third party and another employment via your own company, then you have two limits that run for each employment. As all MAPs are either exempt or chargeable, no dispensations are available. The rules for NICs differ slightly from those for income tax. Unlike the income tax rules, there is no difference in the mileage rate for cars above 10,000 miles – the 45p rate applies for all miles. 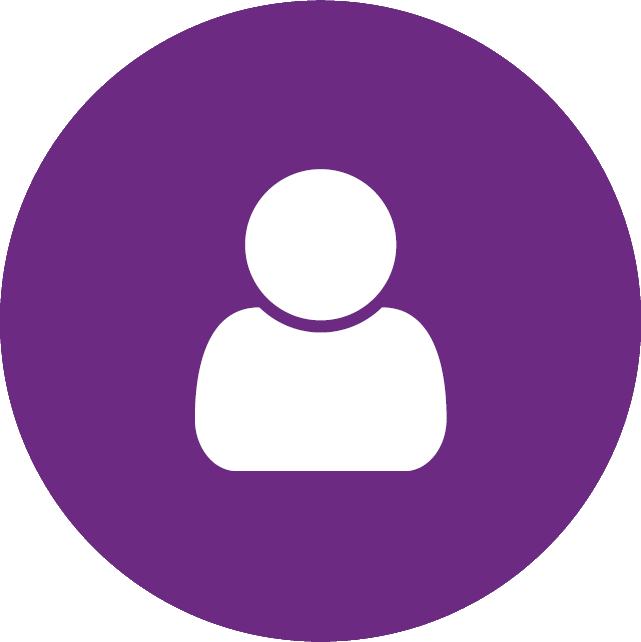 If you carry any employees on business travel then the company can pay you a passenger payment of up to 5p per passenger per business mile, in addition to the normal Approved Mileage Allowance Payments. What information should you retain? If you don’t use the Flat Rate accounting scheme, then the company can allocate part of the mileage rate paid to you as VAT Input Tax. The amount is not defined by HMRC and can be based on a reasonable calculation based on the specific vehicle. However, the most common way to calculate this “reasonable amount” is to identify the fuel element within the mileage rate and apply VAT to that. Strangely, you still have to retain purchase invoices to support the claim, so make sure you keep hold of petrol receipts equal to at least the value of the mileage claim. As a contractor the good news is that, under the Approved Mileage Allowance Payments Scheme, you can save tax by claiming tax-free mileage allowance payments for the costs of your business journeys made in your own vehicle. But, the rules can be interpreted in a number of ways, depending on individual circumstances. If you are unsure of what you can claim, speak to your specialist contractor accountant who will explain the rules to you clearly, advise you on your options and help to make sure you’re claiming all you’re entitled to. To find out how to claim the mileage costs for hire cars, vans and cycles please visit our other eBriefs in the expenses range.